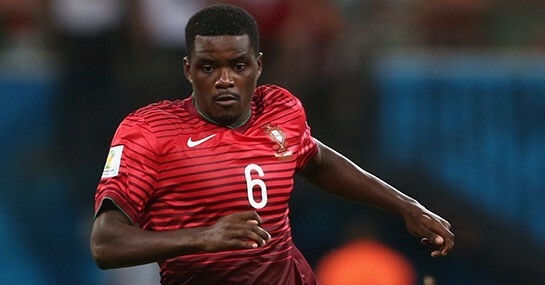 Arsenal and Manchester United have been put on red alert after Sporting Lisbon agreed to put Portuguese midfielder William Carvalho up for sale. Reports have emerged in the usually reliable Record newspaper claiming the Sportinguistas are now desperate to cash in on their prized asset as they look to reinforce a squad that finished seven points adrift of Benfica last season. The news will have attracted the interest of plenty of top clubs from around Europe but in particular two of the Premier League’s heavyweights. Arsenal have been scouting the 22-year-old for around 18 months and last week rumours of a £24m bid from the Gunners were circulated in the press. Despite the bid being turned down, Sporting, after a board meeting this week, have decided they want to cash in on the player this summer, leaving the north London club as the 6/5 favourites for his signature. Manchester United, who are 7/2 to sign the midfield ace, are another club who have kept a close eye on the Portuguese international, who featured for his country at the 2014 World Cup, but with reports in the Chilean media claiming Arturo Vidal’s proposed move to Old Trafford is close to being completed they may not revive their interest. Real Madrid and Chelsea have also been linked with a move for the midfielder, who has a £35m release clause, in the past but it’s Arsenal at the front of the queue for his signature with a cash up front deal likely to speed things up. Despite already spending £60m so far this summer on Alexis Sanchez, Mathieu Debuchy, David Ospina and Calum Chambers, the Gunners are still in the market for a defensive midfielder. World Cup winning midfielder Sami Khedira was high on the list of Arsenal targets but negotiations between the club and player’s representatives have reportedly broken down, clearing the way for Wenger to move for Carvalho. Arsenal are 13/2 with Ladbrokes to follow up last season’s FA Cup success with the Premier League title but the addition of a midfield powerhouse to play alongside the club’s player of the year Aaron Ramsey would certainly shorten those odds. And standing at 6ft 2” Carvalho could be the man to finally fill the void left by Patrick Viera at the Emirates Stadium.